San Francisco is home to so many amazing things! The bridge. The cable cars. The sea lions. The Irish Coffee at the Buena Vista. 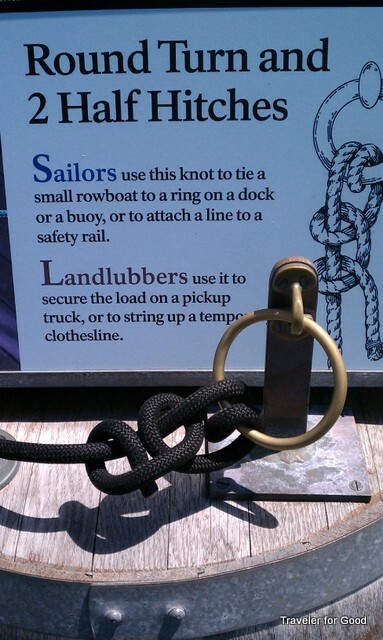 Today we're visiting San Francisco Maritime National Historic Park as a part of National Park Week. 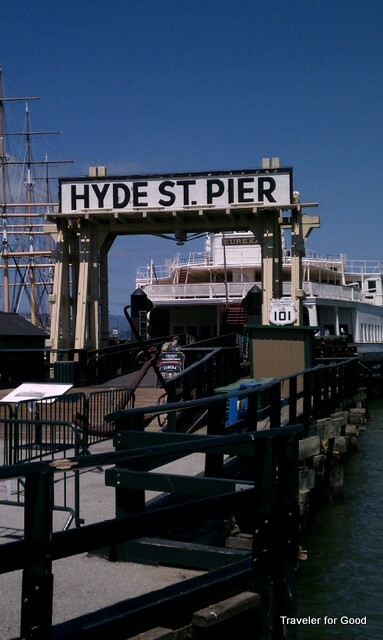 You can't go far in the San Francisco area without hitting a national park, monument, or rec area including: the Presidio of San Francisco, Golden Gate National Rec Area, Muir Woods National Monument, Alcatraz, and Fort Point National Historic Site. The maritime park is right on the waterfront...just a few piers away from the tourist mecca of Pier 39. There's no entry fee, so you might as well just well learn something in between dining on chowder in a bread bowl and stopping for ice cream. On my most recent visit, I tried my hand at knot tying (above). It's probably best that I followed a different career path. What's the best thing to see, do or eat in San Francisco?